That tune, “Lavender Coffin” is great! I like the free shouts in the background, like a Gene Vincent recording. I feel sorry for those black American G.I.s, because I interviewed and spoke with some of them back in the eighties about how difficult it was being black in both Germany as an occupation soldier and back in the States, where they were treated horribly, particularly in the U.S. South, but also in many Northern U.S. cities, until the 1960s began to change American attitudes for the better. 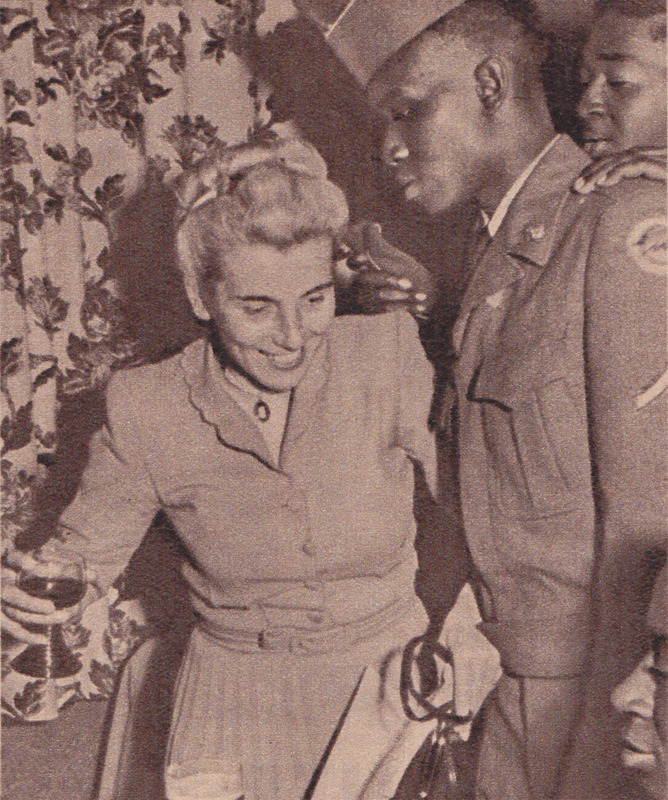 One black former soldier told me that in Germany (Baumholder I think was where he was stationed, in the early 1950s before the Occupation was lifted in 1955) German Frauleins who so much as bought him a bier in a Service Club risked being treated as ‘prostitutes’ by the German authorities. Black culture is what gave Americans jazz and rock ‘n roll, yet many Americans don’t seem to appreciate this, nor do they know that the mistreatment of their black fellow servicemen in Germany could not have happened if the Americans hadn’t been racist, helping unfortunately to reinforce old conservative German racism from the Hitler Time. It seems like it was very hard to be black in those days. Things have certainly improved for the better today! Thanks for being such a steady reader here. And for adding something in the writing department, I´m always so occupied with the graphics that I don´t work too much on the writing. Also I´m such a smartass anyway that I don´t want to bore anyone with my “knowledge”. Then one of the points of this blog is that I pick records and artists to post that I haven´t found anything about on google. So I don´t have so much information anyway. That´s how a lot of people find their way here too, because they have a record or a friend or an artist that they used to like 40 years ago and they put the name in a search machine. And then most of the music explains itself. And I love Lavender Coffin! What a cool much wilder version of that song. If it actually is from Berlin, as I presume it is, it is probably the most authentic rock´n´roll record ever recorded in Germany. At least as far as I ever heard. 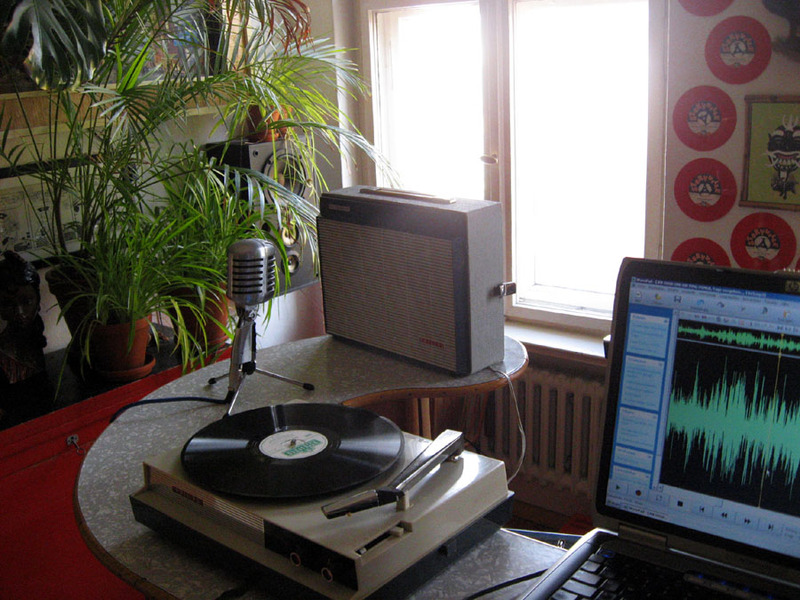 And it is pretty much a rhythm & blus/(pre-)rock´n´roll record. Like you wrote, the shouts are similar to a Gene Vincent recording. And thanks for pointing out the story of black G.I.´s in Germany. The article that I took these photos from is actually about the prostitution of German women who deliberately moved to this smalltown or village where all these G.I.´s were stationed to earn some money, without literally mentioning the word once though. Prostitution was tolerated it says, to save the rest of the German women from harassment. The article makes an effort to steer away from racism but certainly is inconsistent and bigoted. The German public was very racist and still is to a degree today. I guess I should post the whole page. As you wrote we owe black culture all of the cool 20th century music and I guess you can say that Lavender Coffin is the beginning of rock´n´roll in Germany. Even the Germans owe this first ever such recording, as far as I know, to an African-American. “Lavender Coffin” was covered in 1949 by black swing legend Lionel Hampton, and white swing legend Tex Beneke, but it was originally an R&B record by Fat Man Robinson, an alto saxophonist from Boston. I follow your blog, and like the music you put on. 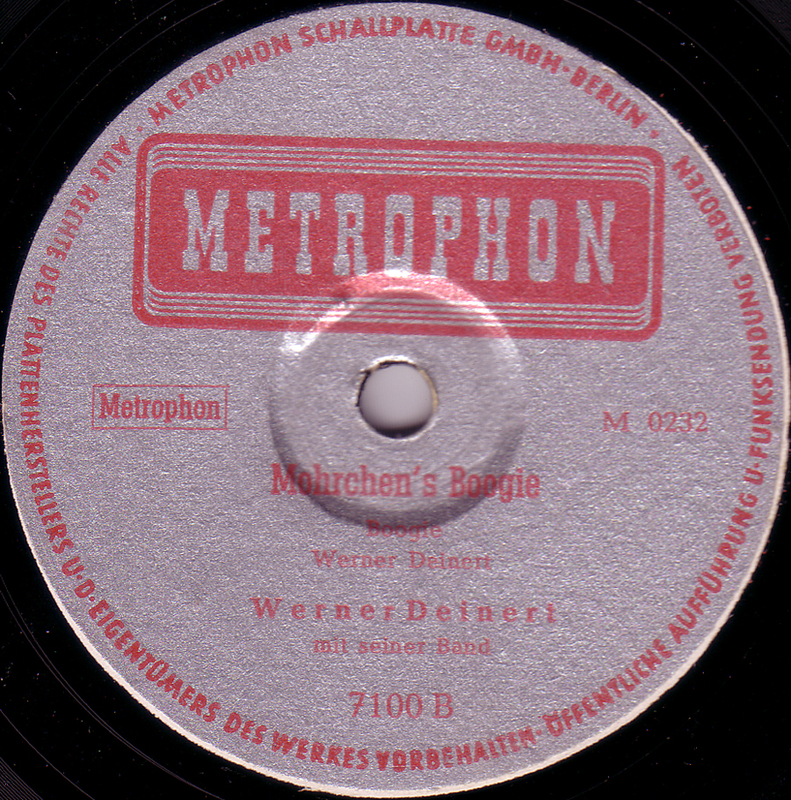 Also old 78 rpm music I like very much. Here is a suggestion when you don’t can spin 78 rpm record on your turntable. You can play them on speed 45 or 33 1/3 and record normally on the computer. In Audacity is a conversion speed option!! so you can go to 78 rpm.! from the 45 or 33 rpm. This gives a much better result then recording by microphone I think. restauration of the sound ,don’t do this in Audacity! Use a good software as Audition/Cool Edit, or Sound Force or DC7. Other wise you get a bathroom effect in the music. Better not to restaurate !! then bad restauration. thanks a lot for your tips on recording. Boursin also suggested that and I know that the quality of the MP3´s can be improved (and not only of the78 rpm records). I will try to re-record them as soon as I get to it. I only own about 30 shellack records total but I think it´s worth it with the ones I posted. I don´t know the name. 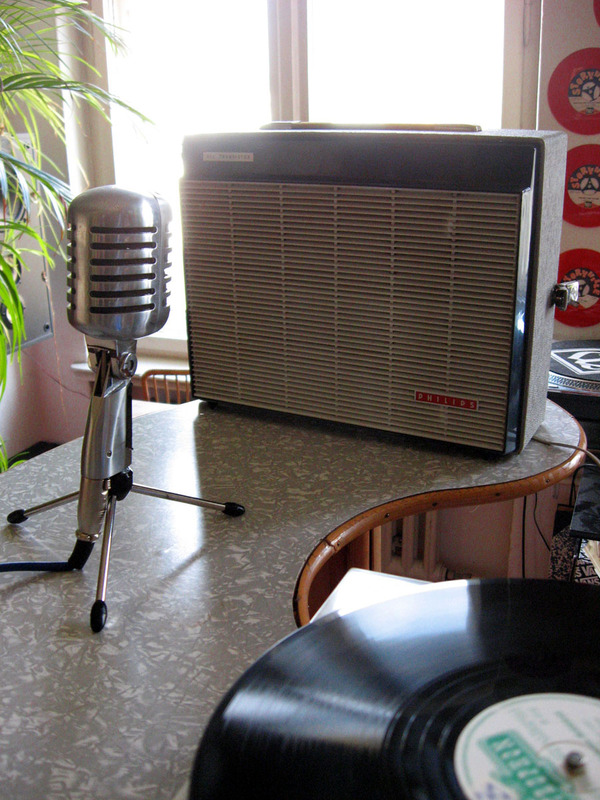 It´s a portable record player. The speaker is the top of it. I guess it´s from the mid-60´s. Ich mach mal auf Deutsch weiter. Also, wie gesagt, ich weiss nicht, wie das Gerät heisst, da steht nichts drauf, außer Diamond. Allerdings besitze ich mehrere Monoplattenspieler und die von Philips sind die Besten. Selbst nach fast 50 Jahren spielen die noch gut und das, obwohl es echte Einweggeräte sind, nur dafür gemacht, das Teenager sie in wenigen Jahren runterrocken. Vielen Dank! Ich hab zwar den Trick mit dem Aufnehmen auf 45 und dann umwandeln auf 78 mal probiert, aber professionelle Hilfe könnte ich echt gebrauchen. Über diese Berliner Version von Lavender Coffin habe ich übrigens unlängst auch auf deutsch in der Berliner Wochenzeitung Jungle World geschrieben. Hallo Herr Michalke. Ich bin der Sohn von Werner Deinert. Mittlerweile ist mein Vater verstorben und ich versuche sein Werk von damals zusammen zu tragen. 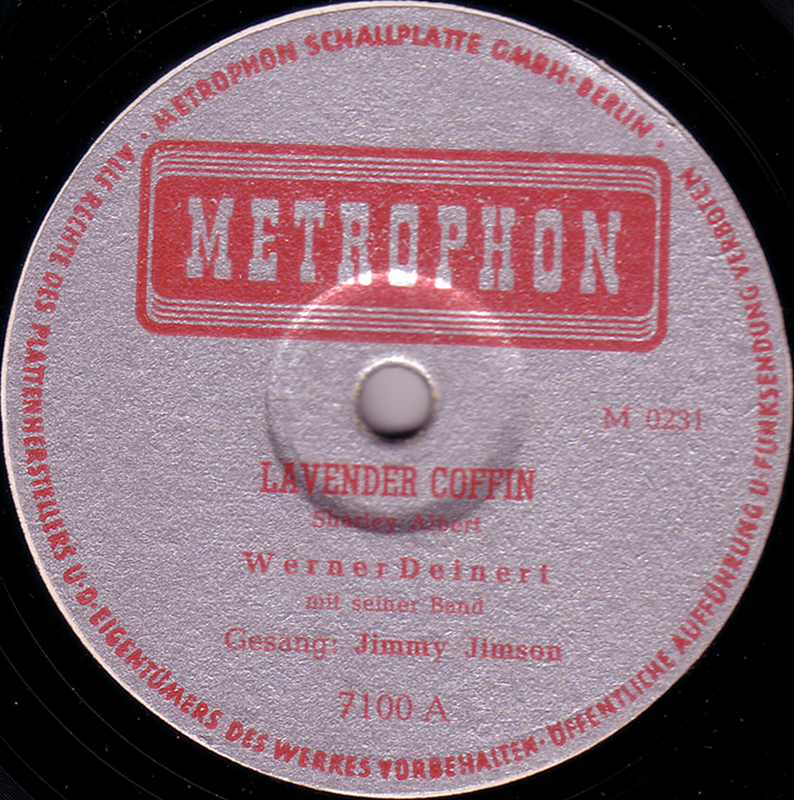 nicht alle Platten haben die vielen Jahre überlebt, daher meine Frage, ob Sie die Lavende Coffin`verkaufen würden. Ich würde mich sehr freuen, von Ihnen zu hören. Ehrlich gesagt, möchte ich die Platte nicht verkaufen. haben Sie meine Mitteilung zu Jimmy Jimson (Biogr.) erhalten??? Leider nicht. Ich wäre an Informationen zu Jimmy Jimson sehr interessiert.